This morning, Triangles group were set a challenge. 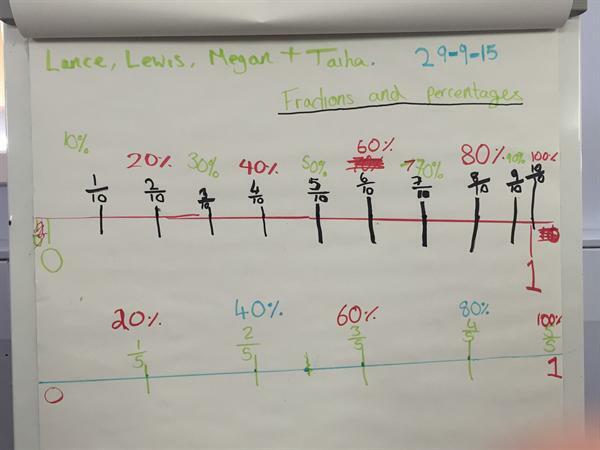 They had to work together to make a display of equivalent fractions and percentages. They used what they had made to lead a discussion in our plenary.